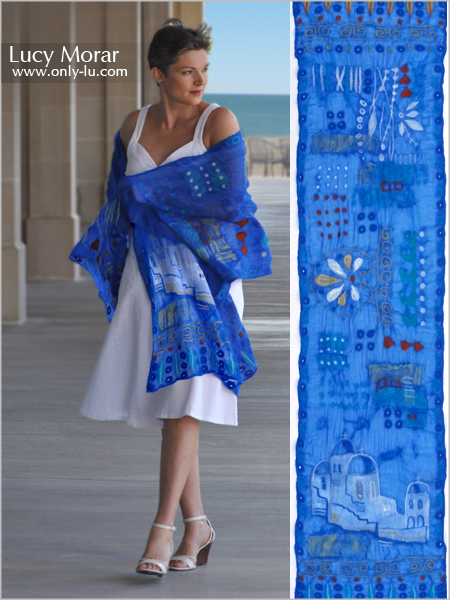 Abstract design with elements inspired by Greek tradition on sea blue chiffon silk. Simple and mysterious. Handmade in technique of nuno-felting using fine merino wool. This entry was posted in nuno felting, scarf on September 9, 2016 by Lucy Morar. Please let me know the cost of Greek Blue Nuno felted scarf. Thank you!